It’s always a good time when I get behind the wheel of a new Dodge Challenger Hellcat considering it’s one of the most powerful mainstream vehicles on the market. 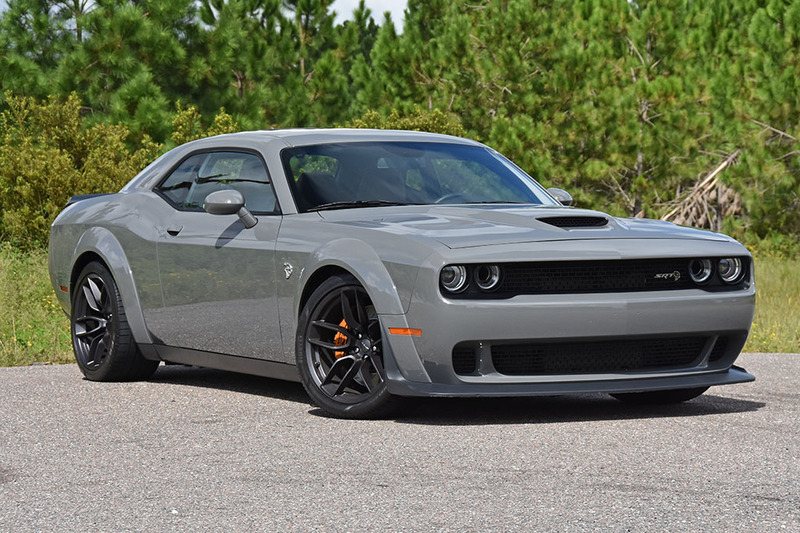 In the past couple of years, Dodge has expanded upon their line of hellacious vehicles to birth a new 840-horsepower Demon and a new 797-horsepower-Redeye Hellcats that push the horsepower envelope even farther. 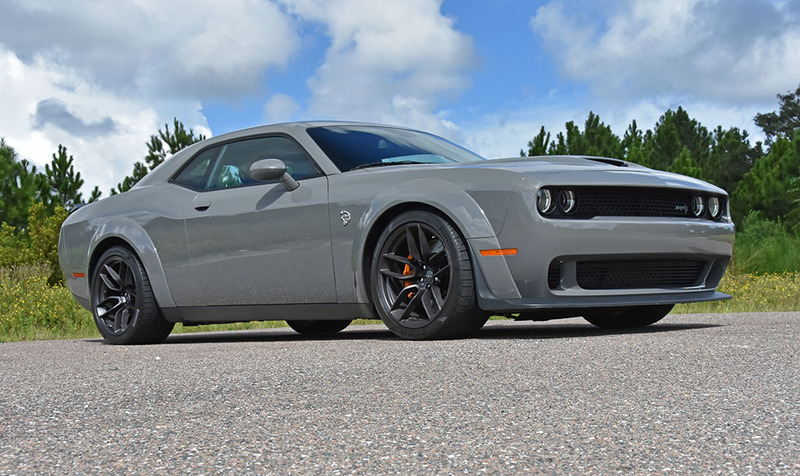 Making wise use of the widebody proportions of the new Demon, Dodge offered such to the “normal” Hellcat, which in turn naturally improved upon its handling dynamics and traction due to a wider track and wider wheels and tires. Are the “wider” improvements enough to really make a difference? I’ll try to answer that question. Getting a new Hellcat for the week always ensues a huge smile on my face followed by endless giggles and chuckles on how the epitome of the modern-day American muscle car brings out the kid in me. 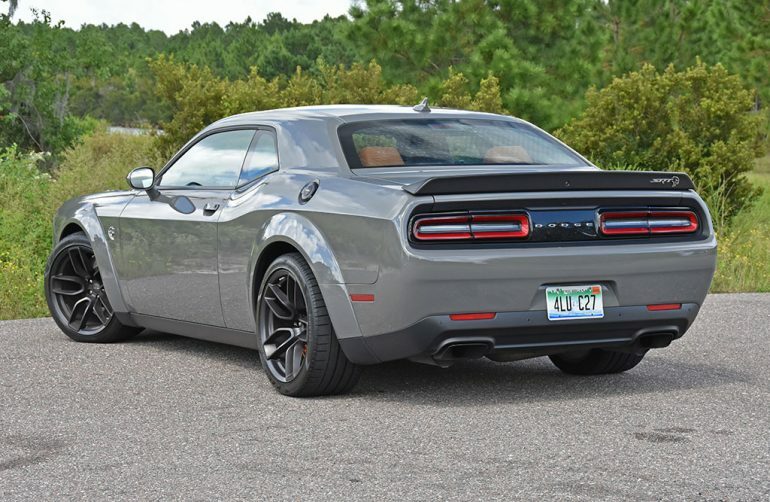 The Hellcat in its new widebody form, something that can now be had on a few other iterations of the vast trim lineup of new Dodge Challengers, does slightly improve upon its stability. 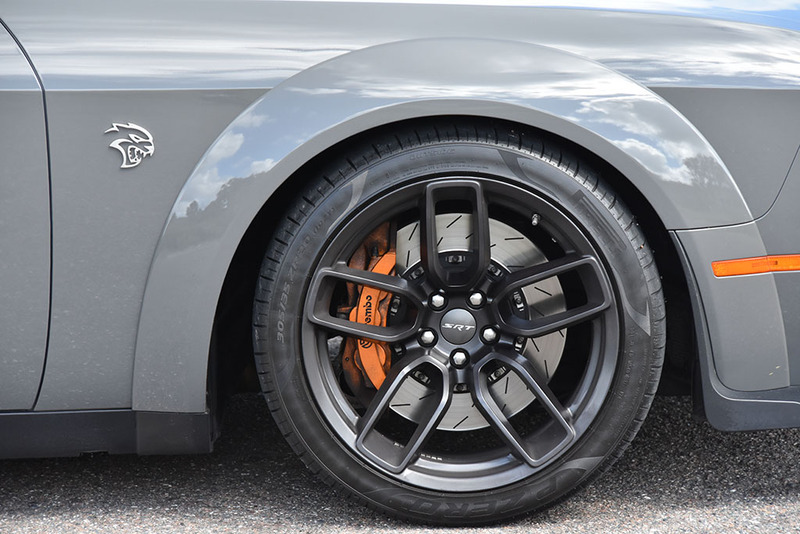 Though, in a nutshell, the Hellcat Widebody is just as raucous as it has ever been retaining the ability to light up the rear tires in plumes of smoke, even if they are new 305/35ZR20 Pirelli P-Zero rubber wrapping a set of squared-offset forged 20-inch wheels. The new Challenger Hellcat Widebody, if anything, is more menacing in the looks department over its welcomed added stability on the road or track. However, there is something to learn in having such a large and in charge vehicle on public roads, and that is always to respect the gas pedal! 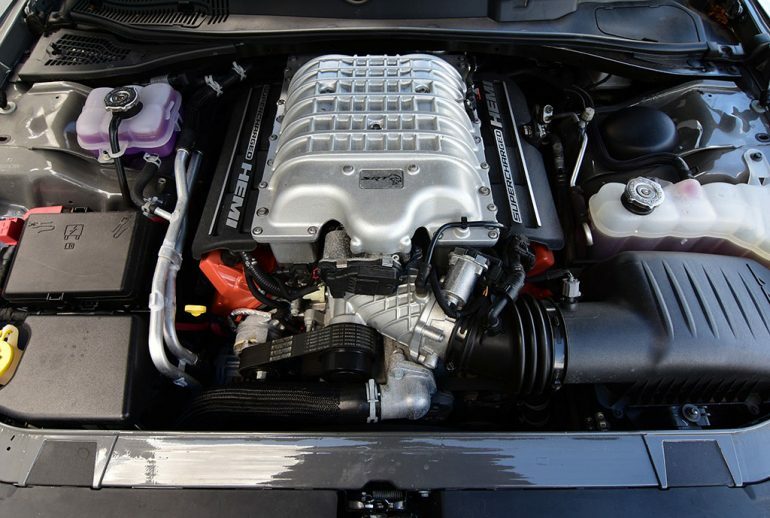 The 707 horsepower and 650 lb-ft of torque from the 6.2-liter supercharged V8 in the Challenger Hellcat Widebody is eager to spin the rears even with traction and stability control enabled in the default drive mode. 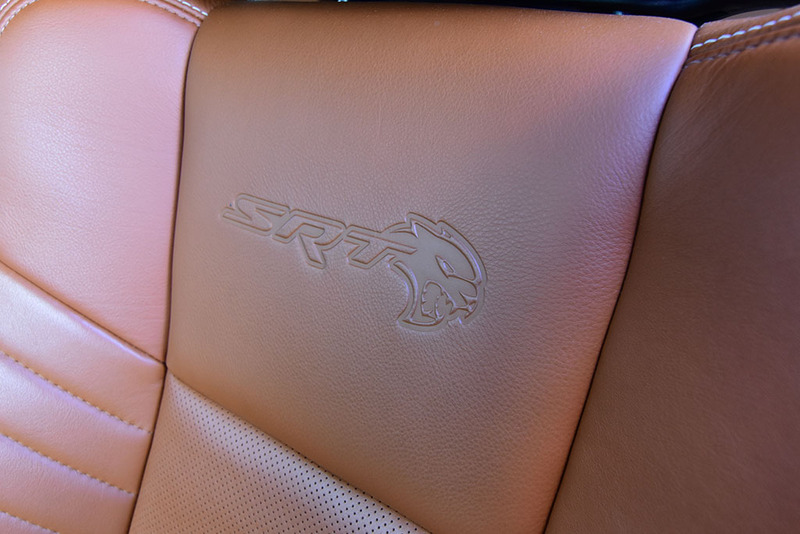 Things get hairier as you commit to pressing the SRT button on the dash to bring up the Sport, Custom, or Tack mode to disable traction control and limit stability control where the Hellcat has no qualms about painting roads with even 11’s. Having a slightly wider track and wider tires squared up at all four corners not only permits recommended tire rotations but it gives the Challenger Hellcat a little extra grip that’s much needed in such a hefty and large vehicle. 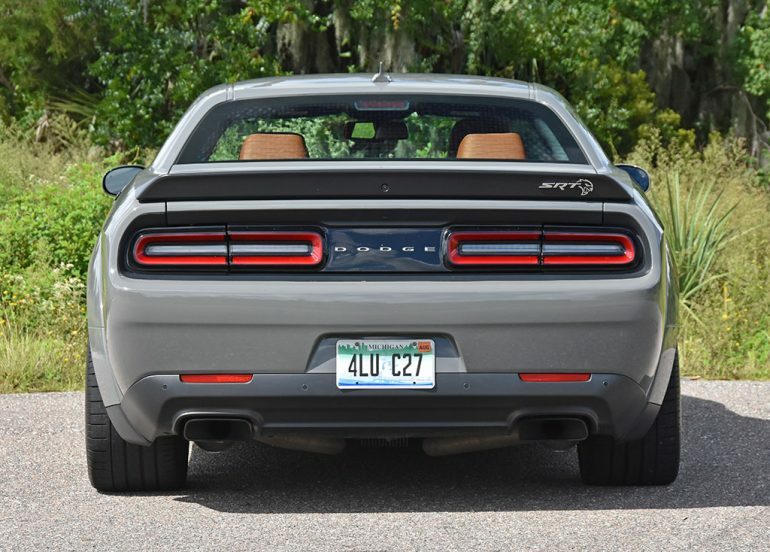 Otherwise, as mentioned in many of my previous reviews of the Challenger Hellcat, the standard Hellcat’s 275-series tires are not nearly up to the task of keeping things in check, or safe for that matter. 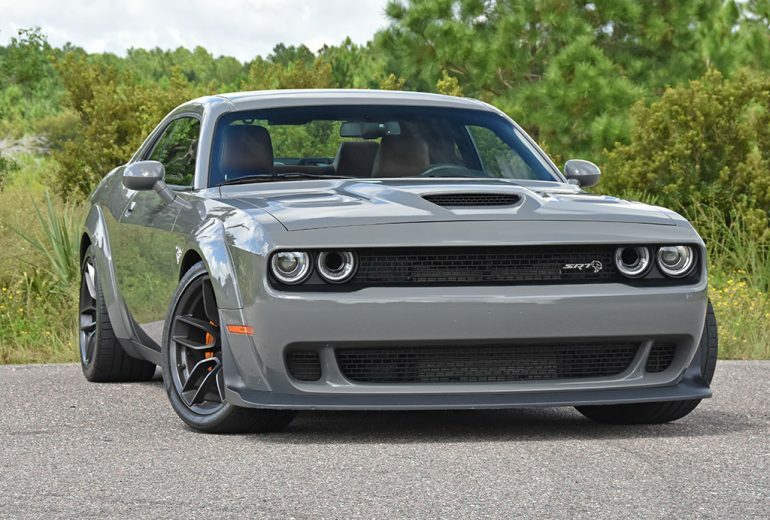 Though, it’s not to say the Hellcat Widebody is much safer as it does, however, give a bit of added confidence when pushing all its 4,500 pounds of American glory into and out of sharp turns. Moreover, the wider tires and track do justifiable justice to improve upon its lateral handling by 0.4g in some tests to max out at 0.97gs of lateral grip. Also, acceleration time in tests is improved by about 0.2 seconds to reach 60 mph in 3.4 seconds with careful use of the launch control system that delicately cuts throttle through first and second gear to prevent the rear tires from showing their cords. Of course, as you can guess, taming such a hell-bound vehicle is all in the delicate motion of your right foot. Dodge’s efforts to keep an aged platform alive is paying off well with the specialized improvements and tweaks that Americans love. 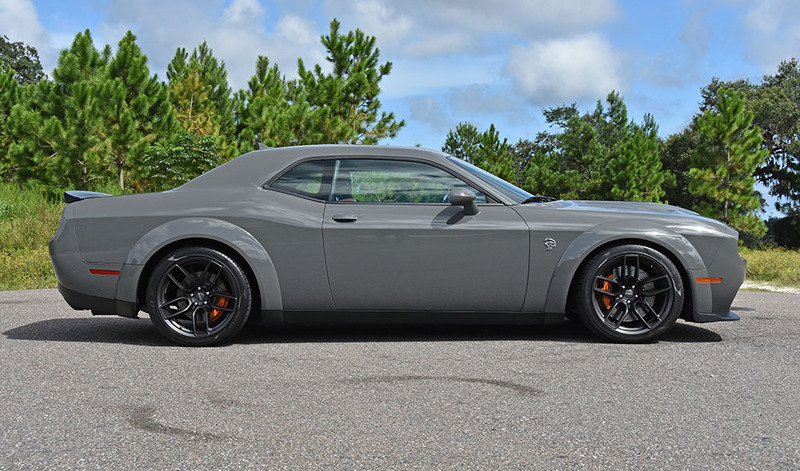 Trickling the widebody design down from the Demon to the Hellcat and other trims was a wise move, and such a change adds a certain visual appeal that is otherwise only found on vehicles highly modified after the fact of taking them off the dealership lot. 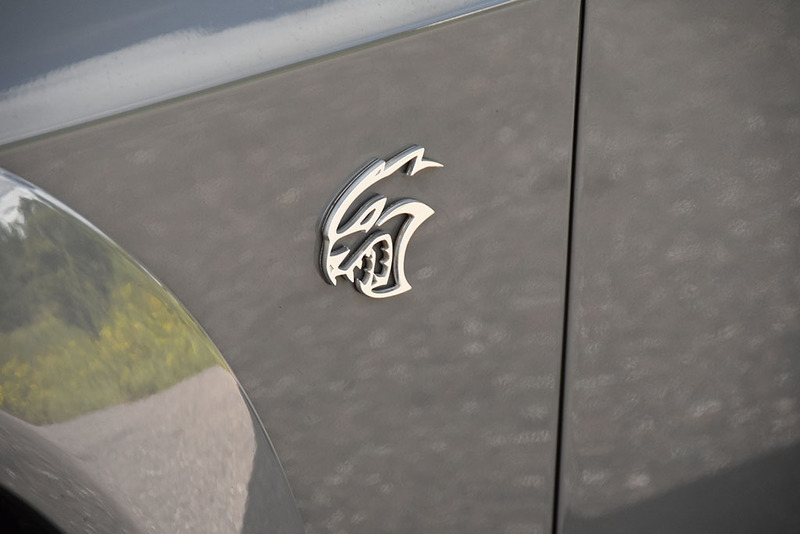 With the Hellcat Widebody, you have a “complete” package of a vehicle that has the looks to be just as menacing as its 707-horsepower bark with and all the smells, sounds, and g-forces that come with such an experience. Onlookers will often give you the thumbs up for driving the Hellcat Widebody – or just simply get out of your way because such a vehicle dressed in my test vehicle’s Destroyer Grey paint job demands respect and always looks like it means business. 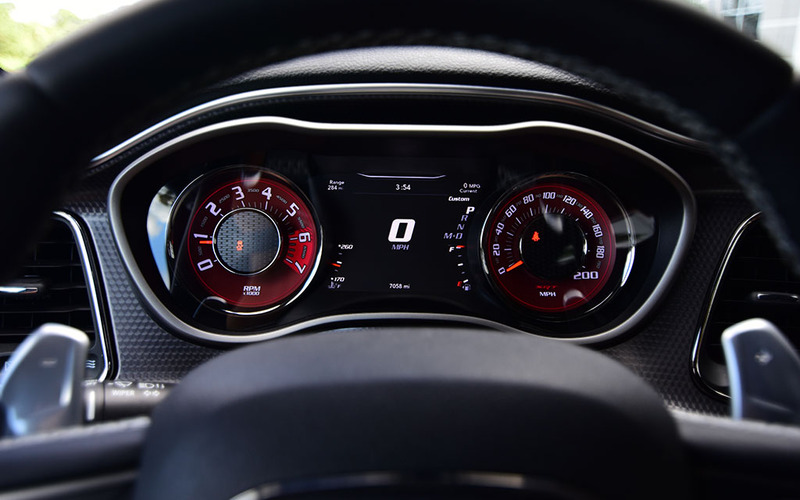 On the inside, the Dodge Challenger Hellcat Widebody hasn’t changed much except for a few Dodge-branded Easter-egg imprints, added color gamuts, and the latest iteration of the brand’s highly praised Uconnect 8.4-inch touch-screen infotainment system. 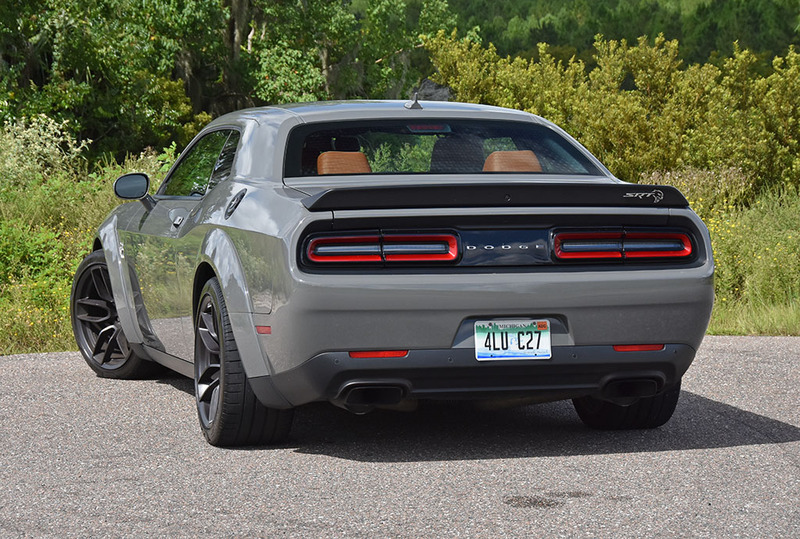 In the fashion of utilizing Dodge’s latest and greatest tech found in their Uconnect infotainment system, the Dodge Challenger Hellcat has the benefit of having one of the best interfaces in the mainstream automotive industry. 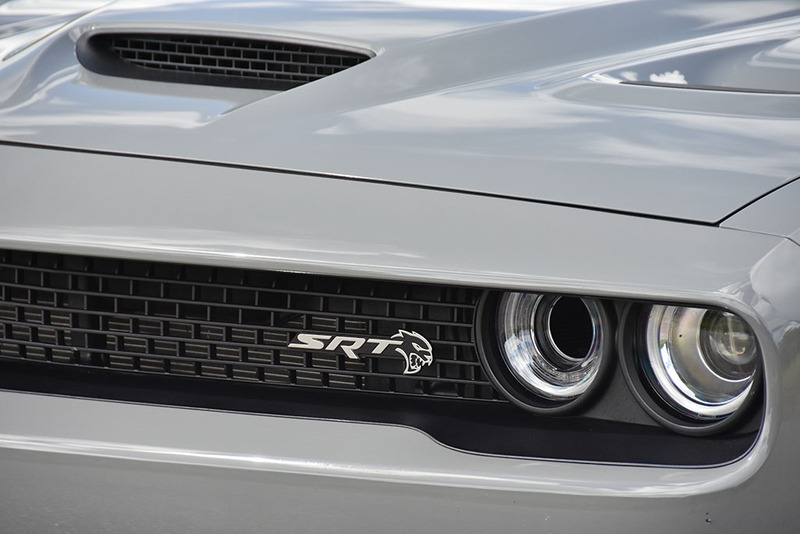 The high level of customization for basic function use and a welcomed customization for the SRT-branded drive modes with a set of nearly endless performance stats to play with, the Challenger Hellcat remains to be a favorite for its logical use of technology in a modern-day American muscle car. It’s like having your red, white, and blue frosted cake and eating it, too. 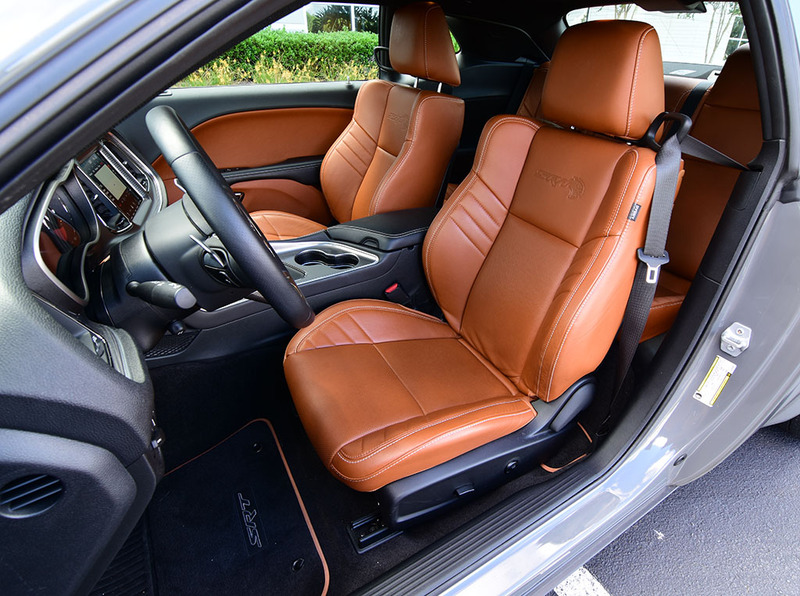 The seating in the Challenger Hellcat Widebody is most of what I remember in years of past with the thickly padded and well-bolstered sports seats in the confines of a vast amount of interior space for a two-door muscle car. 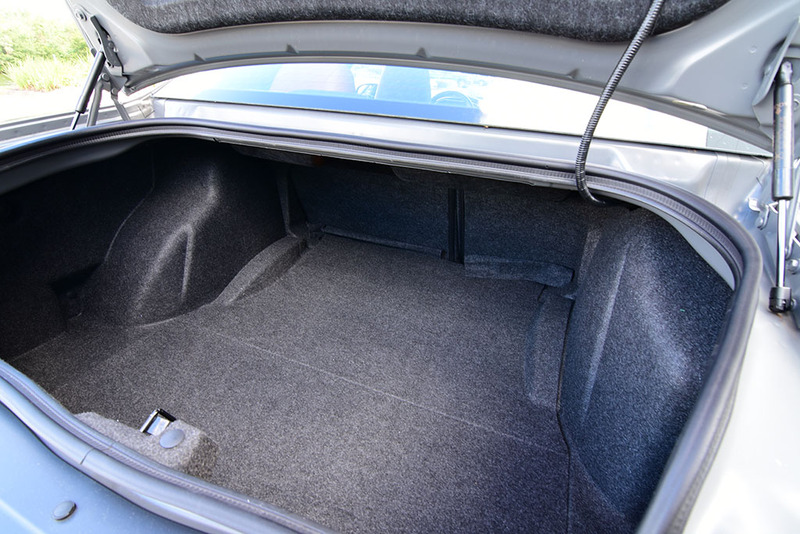 To put it kindly, there isn’t any mistaking the Challenger Hellcat for anything but a big ol muscle car that isn’t so bad to live with on a daily basis or making a long trip that requires several bags to put in the big 16-plus cubic feet of trunk space. 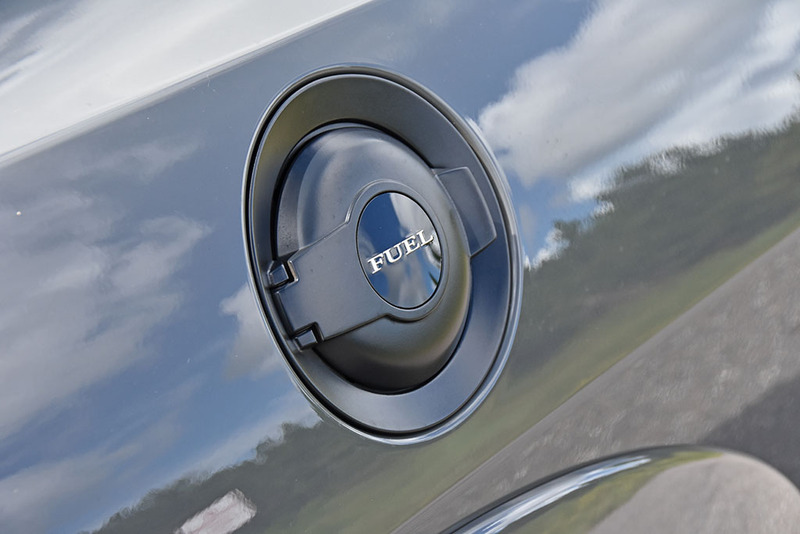 Just remember to plan several trips to the gas station because the big supercharged V8 is thirsty as it only manages to muster out 21 mpg on the highway, 13 mpg city, and 16 mpg combined. The pay-to-play theme is somewhat in place with the nearly-loaded test price of $78,770, but the Challenger Hellcat retains a respectable base price of $63,795, which will strip out the optional equipment found on my test vehicle, such as the Widebody performance package, 8-speed automatic transmission, power sunroof, summer performance tires, and the Orange painted brake calipers in place of the same massively-sized 6-piston front and 4-piston rear calipers only dressed in a blackish-grey color. 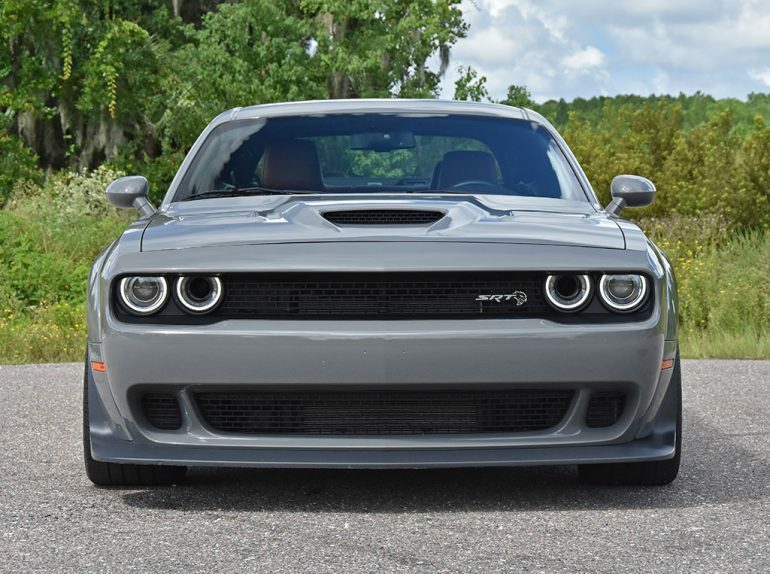 Never has the Challenger Hellcat been so intimidating as it is in the new Widebody form, and I like it! Curb weight: 4,500 lbs. est.